A few days ago we participated in an activity organized through the Ministry of Environment for Diversity Day. It was an honor for the subscribers to share this scenario with Dr. John Earls, a scholar from Moray. 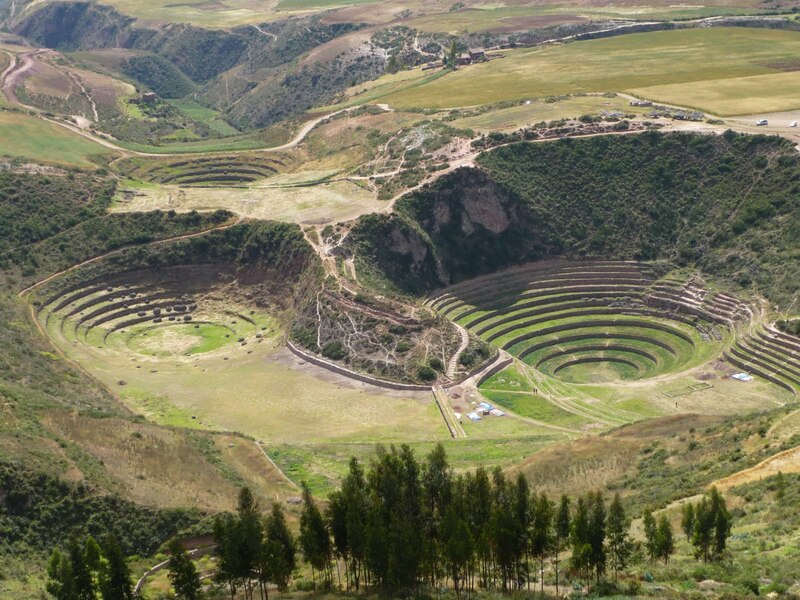 The circular terraces of Moray are andenes created by the Incas, whose shapes resemble a Sunken Amphitheatre. The archeological group of Moray is located 7 kilometers from Maras in the Sacred Valley of the Incas, 38 kilometers northeast of the city of Cusco. It is possible to arrive to Moray by means of a path that parts the village or directly by means of a detour off of the main highway that runs from Cusco to Urubamba and vice versa. Surprising overall is the such precise form of this terraced landscape, where the terraces are positioned one on top of the other in a circular manner. It is assumed that the Incas used it to carry out Agricultural Experiments, due to the fact that inside of the circle microclimates are created that assist with the growth of plants. In this image Moray is shown located on Google Earth. 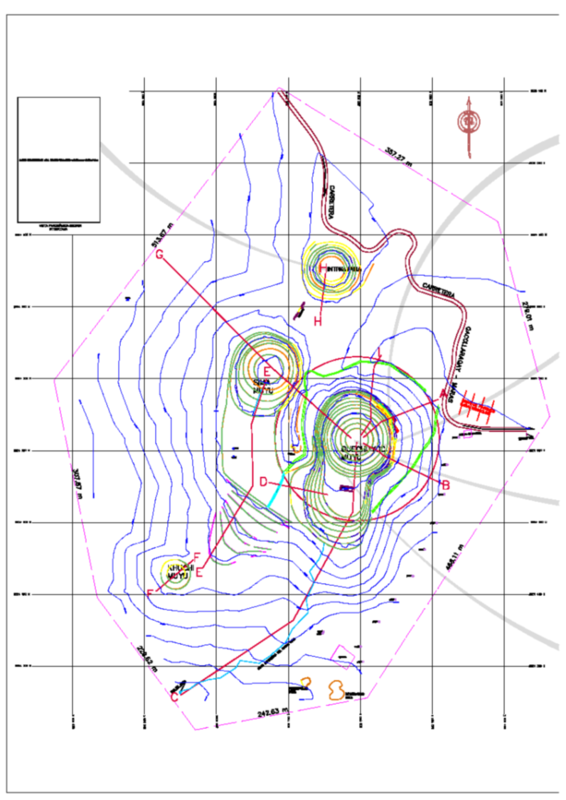 The precision of the geometric structure of the agricultural terraces, in an area of 37 hectares, with 4 concave sides (muyus): each one ringed by andenes with irrigation canals and interconnected by other structures. Formed on natural sinkholes in karstic landscape and extensively remodeled, the geometric remodeling would have involved the transport of hundreds or thousands of tons of soil and rock. But, only 5.53 hectares of terraced area would have had irrigation, which implies a harvest of 8.7 tons of corn, enough for 45 people. From here, the theory strengthens that Moray would be a center for agricultural experimentation, where cultivation experiments were carried out at different heights. The arrangement of the terraces produces a gradient of microclimates, having a higher temperature in the concentric circle in the middle of the terraces, and gradually reducing the temperature arriving to the exterior, enabling the simulation of up to 20 different types of microclimates. It is believed that Moray could have served as a model to calculate agricultural production, not only for the valley of Urubamba but also for different parts of Tahuantinsuyo. 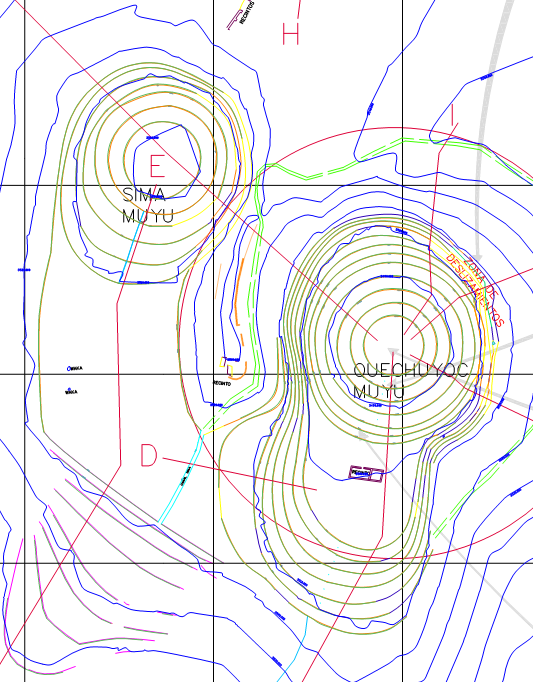 The microclimates of the andenes that surround the largest funnel opening (Qechuyoq) are distributed in sectors with its own microclimatic characteristics. The four lower terraces (Sector I, levels 1, 2, 3, and 4) are more wet and have low soil temperatures due to the greater evapotranspiration of water. The terrace soil from Sector II (levels 5, 6, 7, and 8) has an average annual high temperature of 2-3 degrees Celsius. The soil from Sector III (levels 9, 10, 11, and 12) has higher or lower temperatures depending on the variation of solar exposure through the courses of annual seasons. The months of greater microclimatic difference are those with dry seasons (May, June, and July) and those for planting (August, September, October, and November). Diverse theories explain the use of Moray during the Inca epic. According to historian Edward Ranney, the Incas utilized the terrains of Moray as a place for special agriculture, perhaps for the development of its most precious crop, cocoa. John Earls claims to have discovered the vertical rocks on the terraces, the same ones that marked the boundaries of the evening shadows during the equinoxes and solstices. The habitants of the village called these stones “ñustas.” Earls concludes that each terrain in Moray reproduces the climatic conditions of different ecological zones of the Inca Empire. Due to its sheltered position, each one of these “andenes” represents approximately 1,000 meters of altitude under normal farming conditions. Overall, the complex would have 20 or more ecological zones, to scale. The site of Moray was also able to serve the Inca officials in the calculation of annual productions in different parts of Tahuantinsuyo, which also strengthens the theory that it should have been the social caste of the elite, engineering, who carried out the designs of so many highly important works that have been found throughout the length of the empire.